"Often we let our hesitation or stereotypes hold us back from contacting a therapist. ​Our hesitation needs to be listened to and processed through, not used as an excuse to remain the same." Kate provides teletherapy counseling sessions to clients in New York State. 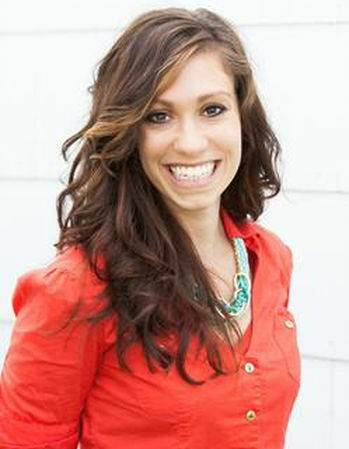 She has been in practice for eleven years working with adults, couples, adolescents, and families. She specializes in marriage and couples work, depression, postpartum mental health and interpersonal struggles. Kate provides an authentic space where clients feel heard and honored, as well as challenged for a deeper understanding of themselves that helps initiate growth and meet their goals. Her work tends to be active and invites clients to create the change they feel and desire in their lives. Kate uses several therapeutic models in practice, with a strong focus on mindfulness skills, DBT & CBT, and a narrative approach. Teletherapy session, especially with pregnant and post-pardum families, can help eliminate some of the barriers clients have to securing the sessions they need. Teletherapy can allow for for clients to be in the comfort of their home, or place of their choosing, and is 100% HIPPA compliant. It allows many who otherwise don't have access to counseling, the ability to receive the care they need from a licensed professional. Kate also offers a christian focus in sessions if clients request to have this incorporated into their sessions. She also invites clients to speak openly about any faith or spiritual background and experiences in session and throughout your counseling relationship. ​If you would like to schedule with Kate please contact the office directly @ 315.415.1510. Kate Knapp, LPC is not an employe of Sarah Rosney LCSW, PLCC. She is not managed by Sarah Rosney LCSW, PLLC but works as an independent contractor to provide psychotherapy to individuals, couples, groups, and families. Kate Knapp, LPC is not supervised by this office. The hours worked and fee's charged are at the discretion of Kate Knapp, LPC.